Are you in need of a cheap but effective pocket knife? 1 Are you in need of a cheap but effective pocket knife? A pocket knife is a foldable scalpel with one or more blades. These blades are placed in such a way that they fold over and fit inside the handle thus making the knife naïve and harmless and appropriate to carry in the pocket. A versatile tool that can be used to open letters; cut off unwanted twigs and small branches; aid in the preparation of food; in drastic situations help the victim of accident or open latches on doors and windows; break off cords, wires and ropes; for self-defense. Pocket knives date back to Iron Age. The remains of bone handle knife used by hunters and the remains of folding knives made in pre roman times have been found; thus proving that the benefits of pocket knives was well known to early human race also. Pocket knives are available in a variety of shapes and sizes. While making the purchase certain factors shall be taken into consideration before the final affirmation. Firstly the purpose of the use should be determined. Now as per the purpose one should determine the length of the blade that will be required, the heavier the workload the longer the blade should be. One blade knives last longer than the multiple blades one. The correct handle which provides with a firm grip along with protecting the blade. The most conventional pocket knife is also known as jack knife. Such knives usually have more than one blade that is joined together by a single hinge. 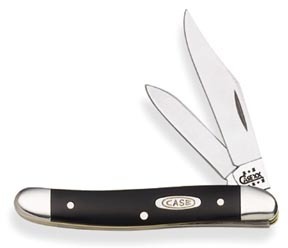 Case cutlery trapper knife falls in this category of jack knives. As per the design of trapper knife it has a versatile clip and spey blade along with it comes a yellow synthetic handle. The blades are vanadium chromed; this makes the blade edge sharp for a long time and resharpening easy.The weight of the knife is 4 ounces and price ranging from $25 to $45. Pen knives is the name given to the pocket knife which has hinges on each side, it has more than one blade joined to the body and is ideally extremely lightweight which makes it easier to carry.In such a traditional pattern comes the stockman folding knife. The three attached blades are spey, straight-edged and clip. The Schrade IMPI6S imperial stainless steel 3 blade pocket knife is one of the best buy of this type of knife. Price ranges from $7 to $15. The weight of the knife is 0.3 ounces and dimension of 2.1*3.6*5.7 inches, made from stainless steel with silver color. It is a highly durable knife with a lifelong warranty appreciated by users. The influx of gadget has taken over pocket knives also. 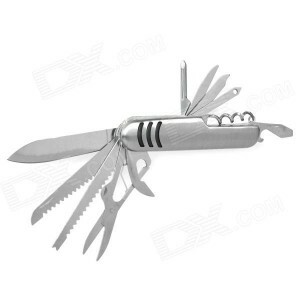 The multi purpose pocket knife is one such modern gadget. Along with a blade, it has a can opener, tweezers, nail filer, scissor. It can be a fuss also if the other things become useless. The Leatherman crater serrated blade knife falls in this niche of pocket knives. It has a stainless steel 420 HC sharp edge blade. 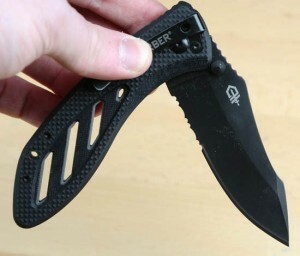 Along with the blade, it has a bottle opener, carabiner clip, quarter inch screwdriver and a removable quarter clip. It also has a locking liner and glass filled nylon handle. The knife weighs 5.6 ounces and has a 25-year warranty. This all in one easy to carry package costs up to $30. One handed opening pocket knife is an easy to use single blade knife. This is easy to carry and can be flipped open with a single swift motion. Smith Wesson Black clip knife with a blade of 3.1 inches and a handle of 4.5 inches. The blade is made from stainless steel. It weighs 4.8 ounces and is accompanied by a lifetime warranty. The handle is made from the light weighted aluminum which is rust proof and thus a highly durable purchase. The blade has a thumb stud which opens the blade in the blink of an eye. The price of this Smith Wesson is $10 only. 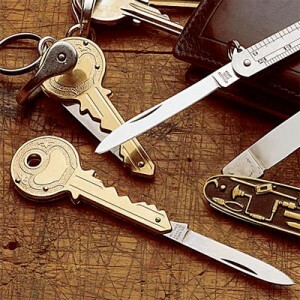 A key shaped pocket knife with a cost of around $10 is a perfect addition to one’s key chain. The handle of around 4 inches is shaped similar to a key and within it is folded a filer and a stainless blade. The sharp-edged straight blade is 1.5 inches long. The lock back style closure further adds to the benefits to the knife. This knife is from the SOG knife company, which is famous for its innovative knife designs. 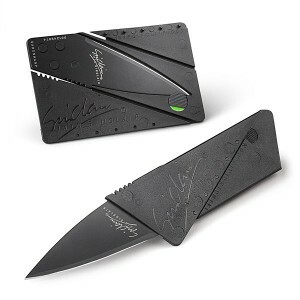 Iain Sinclair Credit card pocket knife is another innovative design in the pocket knife industry. The weight is 13 grams and the thickness of the card is 2.2 mm. the shape is sized is designed in such a way that it resembles a credit card and can be easily placed in a wallet. It has a unique safety lock which ensures that the knife remains harmless in the wallet and pocket. It is also equipped with a child lock feature and a sturdy noncorrosive handle. Made from surgical steel and sharpened edge blade, it is a cost effective purchase of $20. 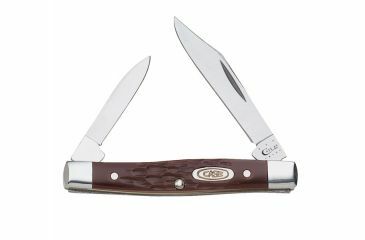 This guide provides with a summary of the most famous yet cheap pocket knives in use these days. They come in handy even for works of daily routine like cutting and chopping in the kitchen. The bag packs of people who like to travel and go for fishing, hiking and trekking are incomplete without a sturdy pocket knife. With some jurisdictions and certain limitations of blade size and weight; almost all the laws allow the possession of a pocket knife. Yet the user should confirm that the knife should be such that is legal under the law of their particular area. If you need any more help finding the right knife for you, check out this handy Knife Finder tool. Wear can I buy thw smith wesson knife and how,long for shipping?